There was a dive shop in Kiama till about the mid- 2000s, I think it may still have had a boat, but it did not advertise and Sydney divers probably did not even know it existed. 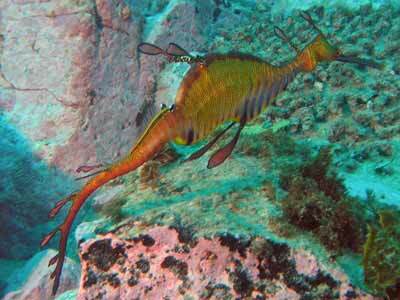 My only dive until 2010 at Kiama was at Afghan Reef in the early 2000s. One of the problems with a lot of the NSW coastline for divers is that the reef adjacent to the shore for most of the coast drops straight from the rock platform to sand. 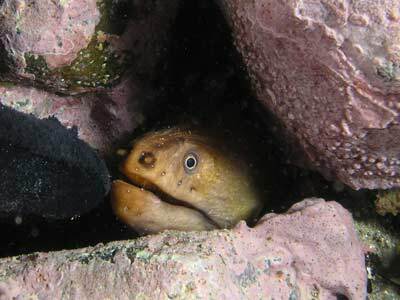 Unlike Sydney where there is reef running out to 30 or more metres, in some places, especially on the North Coast, there is barely a metre or two of rock before sand is encountered. 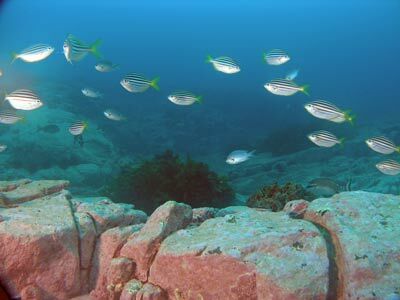 The South Coast is much better, but some places in the Illawarra area (just south of Sydney) also do not have much reef. 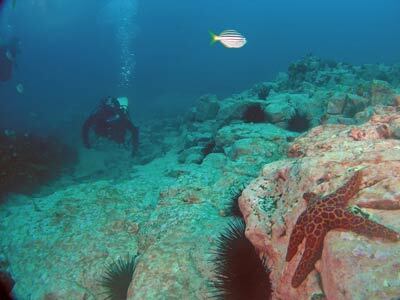 Around Shellharbour and Kiama, there are some places that have a good expanse of reef and other spots that have none. 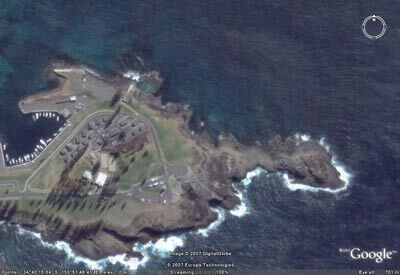 At Kiama, the reef is pretty good around the Blow Hole but in other spots south of the town not so good. 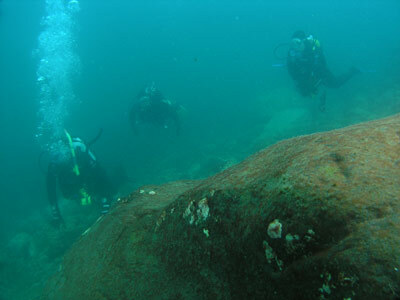 This dive is located right near the man made harbour. To find the site, take the first exit to Kiama off the Princes Highway from Sydney and then follow the signs through the main street to the Blow Hole. As soon as you turn left into the park area that leads to the Blow Hole, turn left again where there are signs pointing to the boat ramp. Travel past the ramp and along the edge of the harbour and up the slight hill to the north. Park close to the toilet block. There is an ocean swimming pool in front of the toilet block. This dive starts next to the pool. Before gearing up, walk to the pool and walk to the far right side and see the best place to enter (and possibly exit) the water. 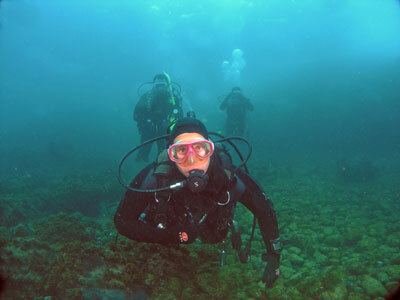 The normal dive here is not to exit here, but check it out in case you need to get back out at this spot. The dive will be from this spot around the back of the pool to the west and back into Kiama Harbour. Walk back past your car to the far end of the car park. Just inside the outer retaining wall of the harbour, there is a small inlet which has a sloped bottom covered with large pebbles. This is the exit spot. Gear up and walk to the pool. A good spot to enter is a bit to the right as there is a deep water drop from a little ledge (where you can sit as you put on your fins). Once in the water, head out about 10 metres before descending. As soon as you drop below the water, you should see that you are in a gutter. Follow this to the north-east. The bottom is covered in large pebbles and the depth about five metres. A huge bullray lives in and around this gutter and you will probably see it. After about 20 metres the gutter has sloped to eight metres and then you will drop over a wall to about 11 metres. The terrain changes to the white looking rock (it is actually pink when you put a light on it) that is so common in the area from Wollongong to Batemans Bay. This rock for some reason never has much growth on it apart from what ever gives it the pink colour. You should head north now, following the sort of valley floor created by the wall on the left and the sloping rock on the right. After about 30 metres you will come to a rock ridge in front of you. You can go either side of this, but the right gives a longer dive. You are heading north or north-west now. 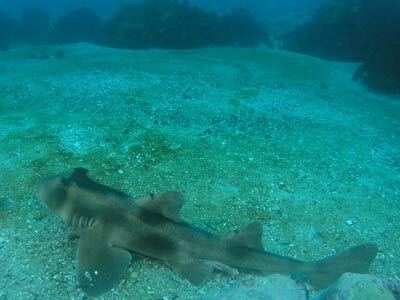 Continue and you will see some sand patches (look out for Port Jackson and horned sharks in this area). The depth will gradually increase to about 15 metres, although you may at times come up a little over ridges. Finally, after about 14 or 15 minutes of slow swimming you will come to the sand edge. This is at about 16.5 metres and there will be some kelp growing near the edge and on rocks on the sand. Turn left here and follow the edge to the south and south-west. There are lots of indents into the main reef along this section, including some large bays. Keep following the reef at this level for at least another 10 minutes. I am not sure where you will end up if you follow the sand edge, but I suspect it must go out into the ocean as when we ran out in our boat from the harbour, the depth was under 10 metres for a long way. At about 25 minutes or so, head to the south. This will bring you back towards the harbour retaining wall. The depth will gradually rise over the next 10 to 15 minutes. Once you get to about seven metres, you should start to see the steeper slope or wall that leads to the retaining wall. Follow this again towards the west or south-west. Just before you get to the entrance to the harbour, the depth will come up to about four or five metres. As you enter the harbour, you will turn south and also see that the bottom ahead drops to about seven metres. The bottom here similar to the gutter where you started the dive but is composed of smaller pebbles. Follow this to the south for about another six minutes and you will see that the edge between the sandy/pebbly bottom heads to the east into a little bay where the depth is about four metres. This is the exit location. If you still have air, you can go further into the harbour before returning back to here to exit. Make sure that you do not stray too far from the wall to minimise the chances of being hit by a boat. Once you enter the small bay (on the sand edge), the bottom starts to rise quite rapidly. Head towards the southern side of the bay and come right up till you can crawl to your knees. Remove your fins and clamber over the large pebble bottom and then up the rough track to the car park. There are showers in the toilet block for after the dive, but there is only cold water. This is a very good dive. On our dive here we had in excess of 20 metre visibility, and even once we came into the harbour, it was at least 10 metres and then perhaps 15 metres. 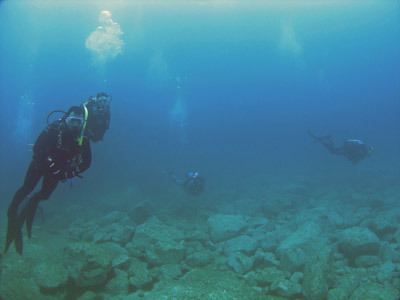 A dive worth doing many times.